When your health is threatened, we’ll give you tools to help you manage. A cancer diagnosis is daunting. You might feel vulnerable, powerless, alone, or even a nuisance. And managing treatment can feel complicated and confusing. Careology uses intelligent technology to make things a little less complicated and help you deal with things more easily. Our goal is for you to feel confident and cared for, and most of all, to still feel like you. We’ll put you back in control and help those closest to you support you in the ways you need most. Record symptoms and side effects to easily keep track of how you’re feeling, and see when to contact your care team. Careology integrates with a range of popular health-tracking devices that track your temperature, heart rate, blood pressure, weight and activity levels. Puts an end to handwritten notes. Save the things that need remembering in the app so they’re easy to recall and share. Jot down questions, organise your thoughts and keep notes of how you’re feeling each day. Keeping on top of your medication can be hard. Different drugs and doses on different days (and that’s before treatment plays havoc with your memory). Our app helps you take your medication accurately and on time through easy-to-use scheduling and reminders. 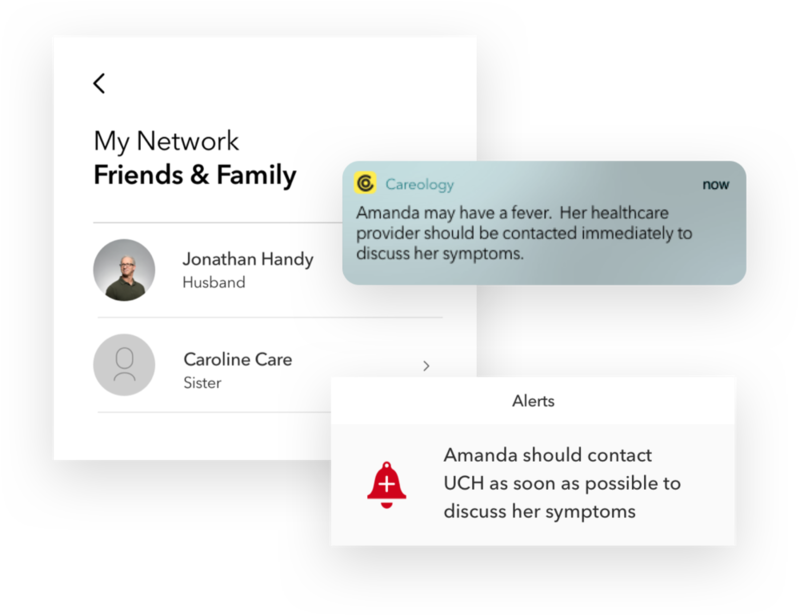 Whenever you’re concerned, Careology lets you share your status with your care provider so they can check things over, removing the guesswork so you never feel like a nuisance. Let your friends and family see how you are, so they can support you wherever they may be. 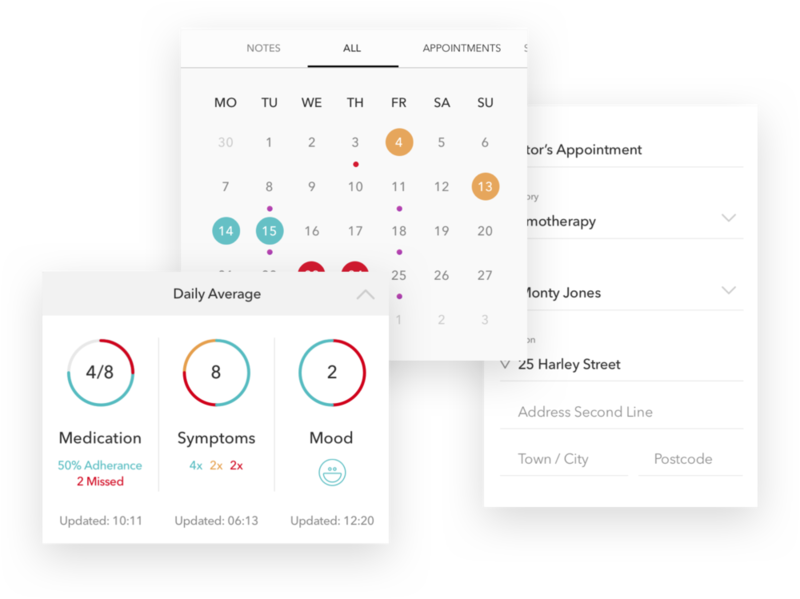 You have a complete record of symptoms, side effects, medications, notes and appointments, all in one place, so it’s quick and easy to recall and share all aspects of what happened and when. Relevant content personalised to you; tips on dealing with treatment, recipes crafted by expert dieticians, useful articles, and product suggestions based on your preferences and needs - all created to be helpful and timely. The Careology app will be available to download soon on the iOS App Store and for Android in Google Play. Sign up below and we’ll keep you in the loop. Yes, keep me up to date with news.